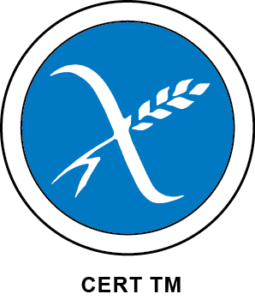 Wheat free and weary of standard gluten-free fare? 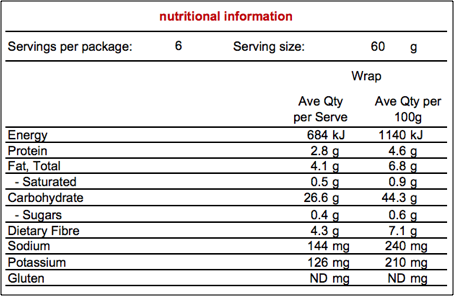 Gluten Free Flour [Organic White Com, Organic Brown Rice, Tapioca], Filtered Water, Potato (contains, Emulsifier (471 ), Food Acid (330)), Sunflower Oil, Bamboo Fibre, Raising Agents (450, 500), Acidity Regulator (297), Stabilisers (412, 466), Preservatives (281, 200). 450gm. 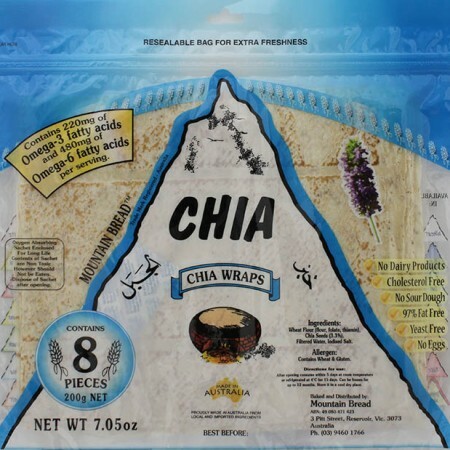 Pack of 6 pieces. 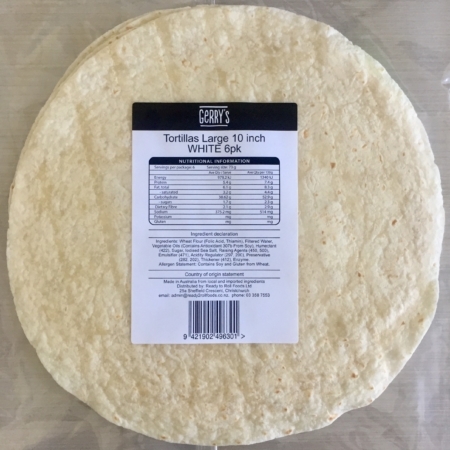 ‘Large’ round 10 inch (25cm) wraps. 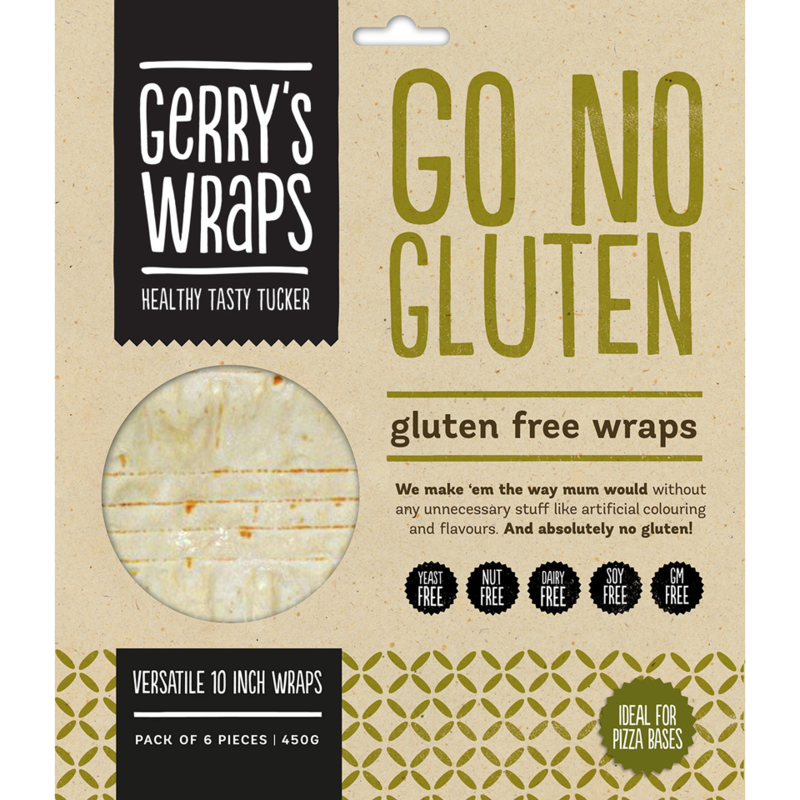 These are the best gluten free wraps I have come across – so glad to finally be able to use them for all the mexican dishes we love so much with no cracking or splitting wraps except if you stuff them too full! 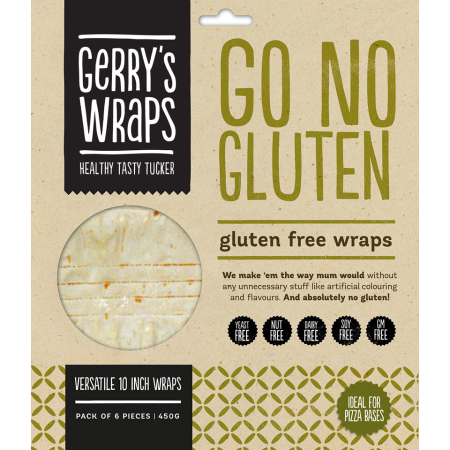 These wraps make a brilliant gluten free pizza base. Just crisp them up a bit in the oven before you put your sauce, cheese and toppings on. 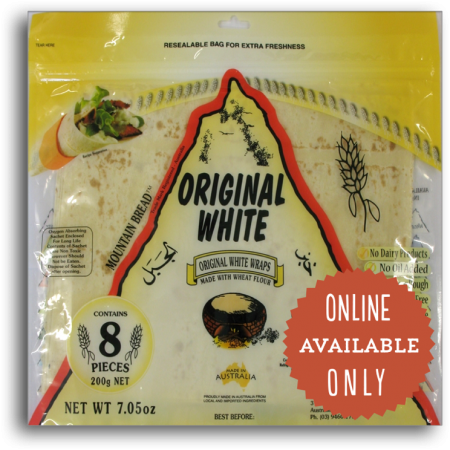 They are the best gluten free pizza base my family has found. Thank you so much for your review. 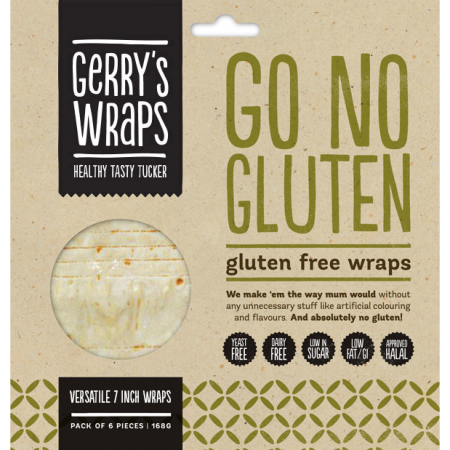 We’d like to send you a free pack of gluten free wraps – would that be ok?